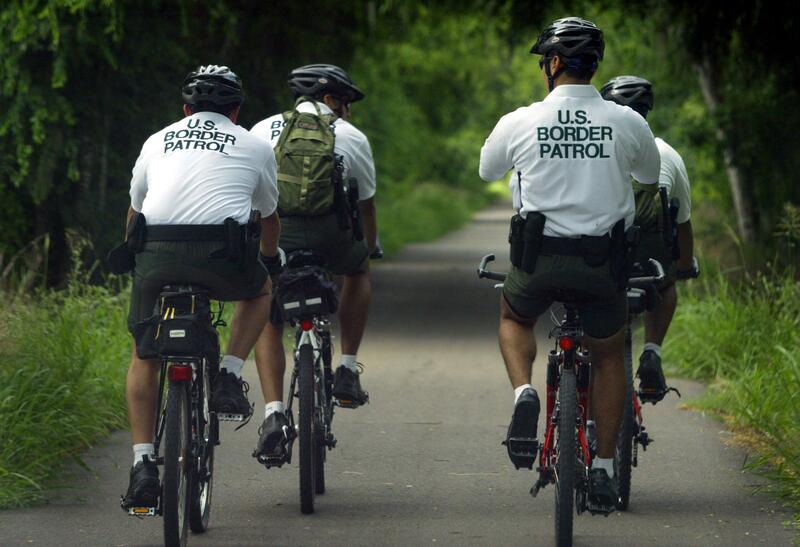 United States Border Patrol bicycle units patrol the city of Brownsville, Texas looking for illegal Immigrants. 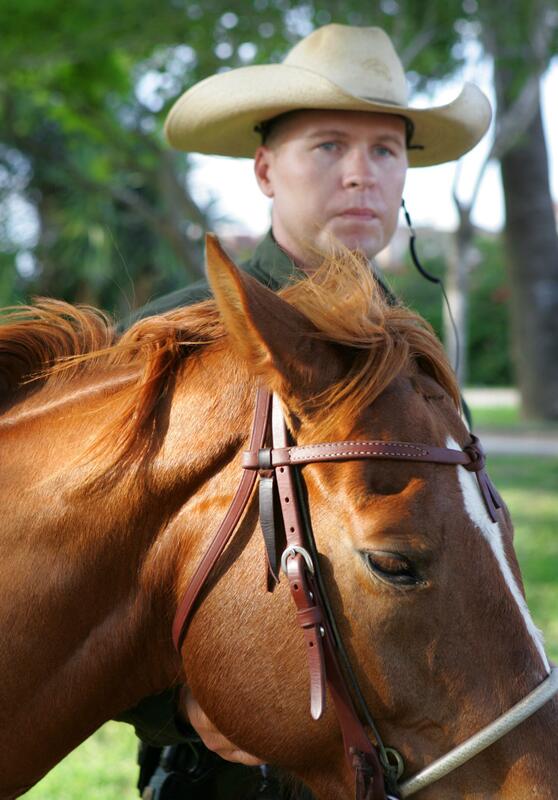 U.S. Border Patrol agent gets ready to begin a day of work with his horse along the Southwest Border. 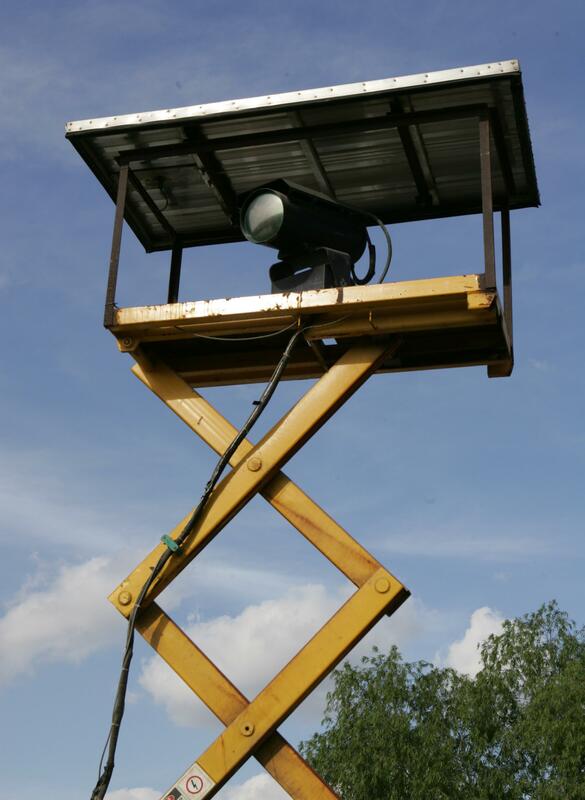 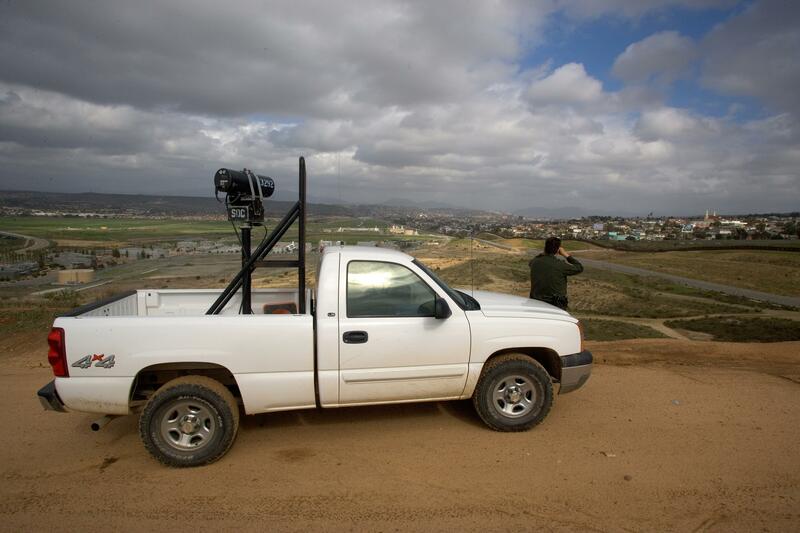 High tech equipment that is mobile is used to see illegal immigrants attempting to cross into the United States giving Border Patrol agents an advantage in apprehending violators. 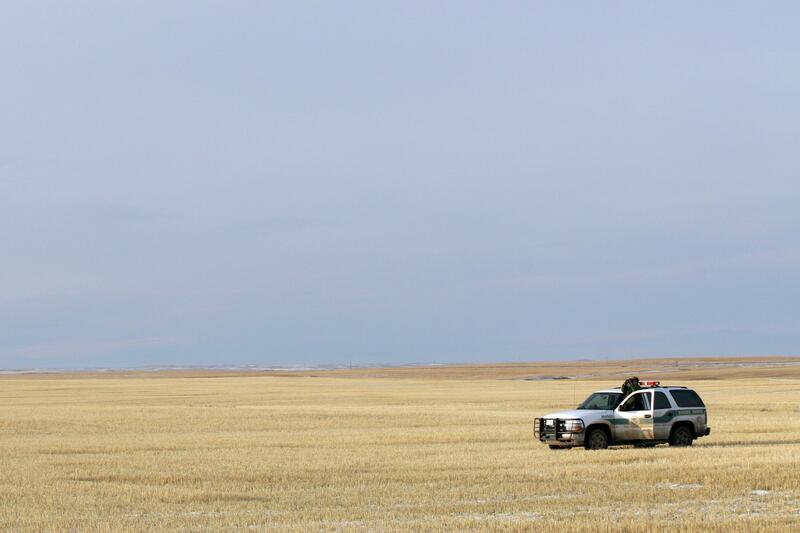 CBP Border Patrol agent monitors US/Canadian border near Sweet Grass Montana. 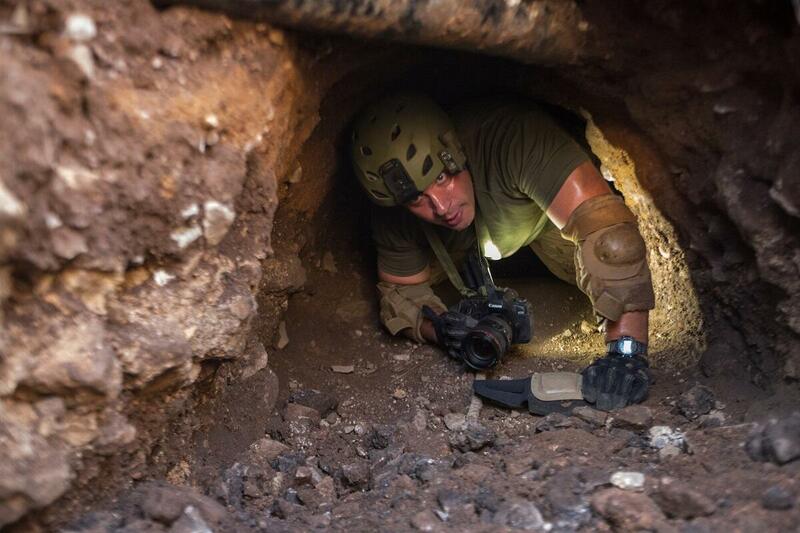 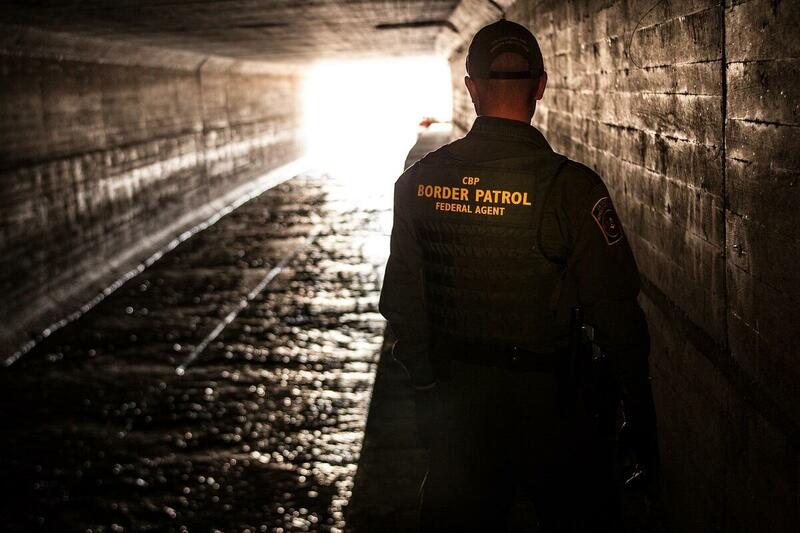 U.S. Border Patrol agent scans the area into Mexico with binoculars looking for illegal immigrants potentially staging to enter the United States. 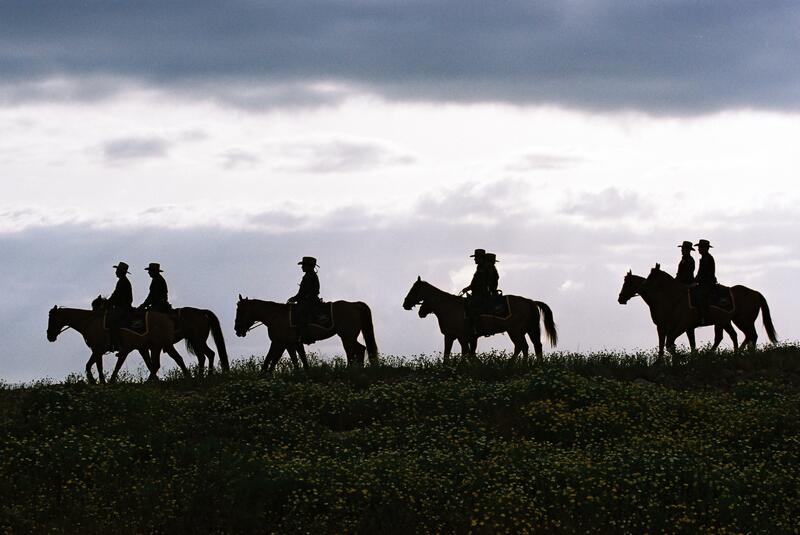 U.S. Border Patrol agents use horses in the most severe environments that regular vehicles cannot negotiate. 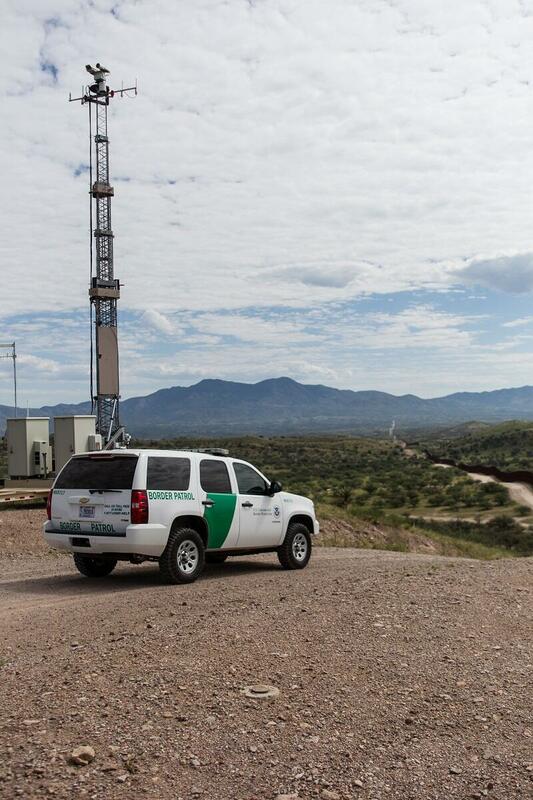 U.S. Border Patrol agent scans Imperial Valley area for signs of illegal crossings. 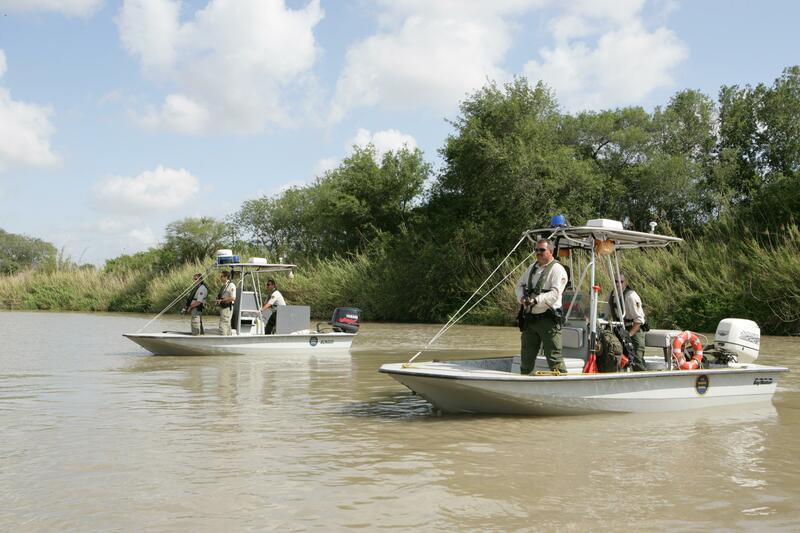 U.S. Border Patrol Marine units face toward Mexico to provide cover for other agents on the U.S. side of the river conducting an investigation. 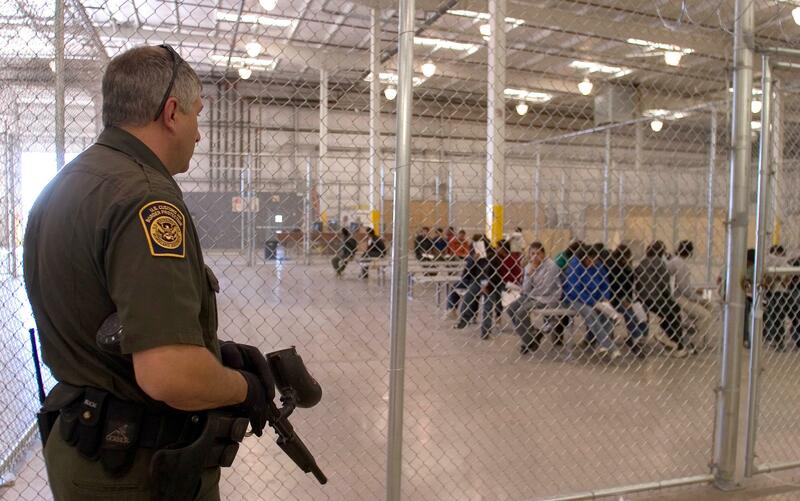 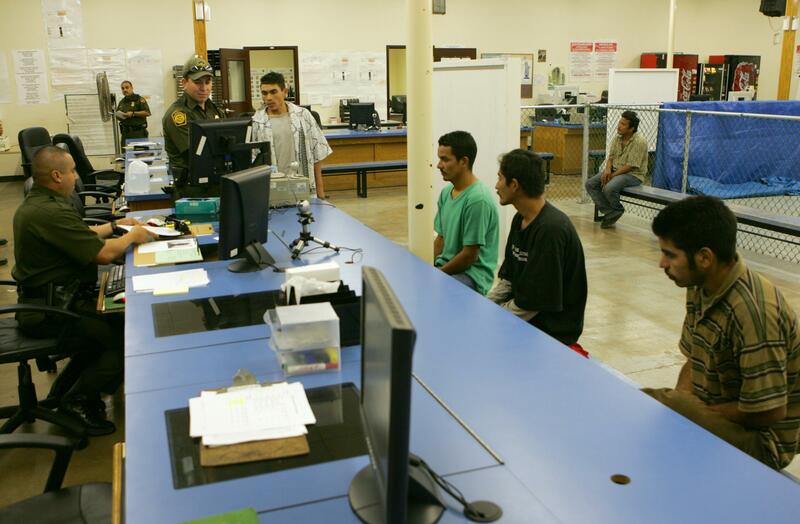 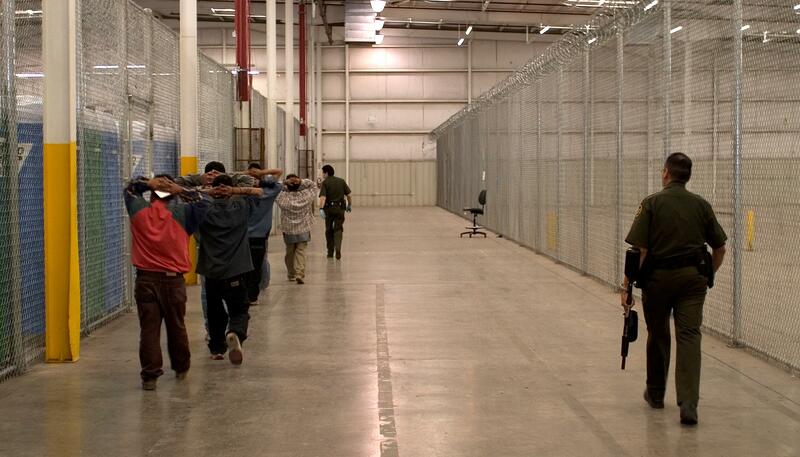 Illegal migrants are placed in holding facilities before they are returned to Mexico. 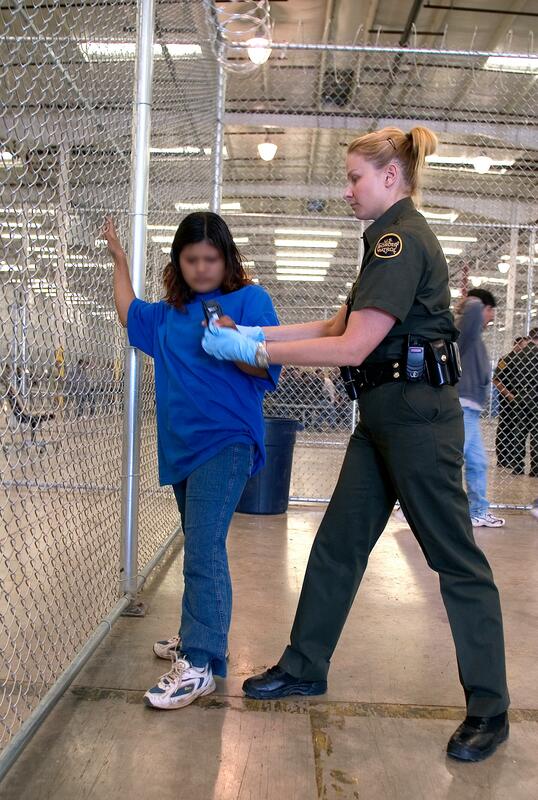 U.S. Border Patrol agent conducts a pat down of a female Mexican being placed in a holding facility. 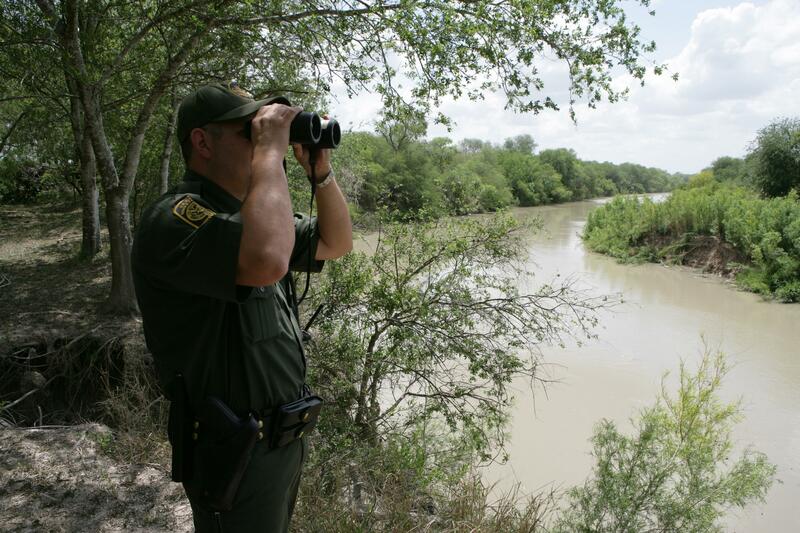 U.S. Border Patrol agent investigates a potential landing area for illegal immigrants along the Rio Grande River in Texas. 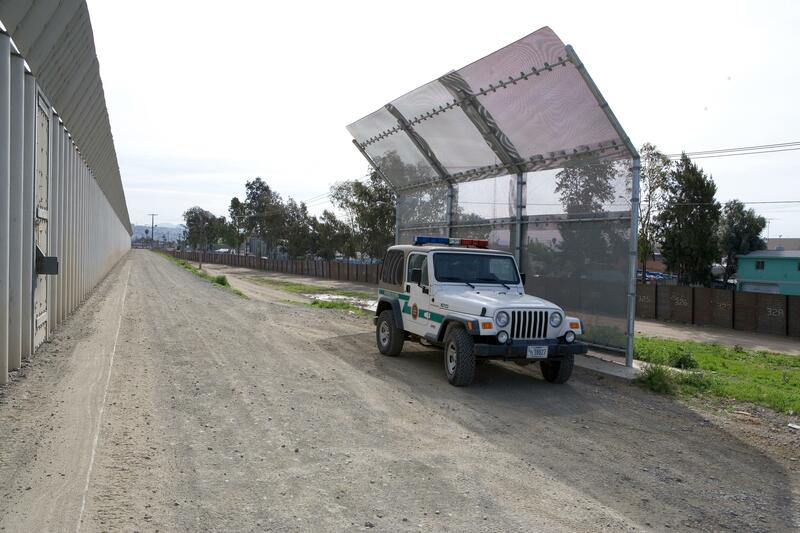 Border Patrol agents sit next to an improvised fence to protect them against rocks that are thrown from the Mexican side of the border. 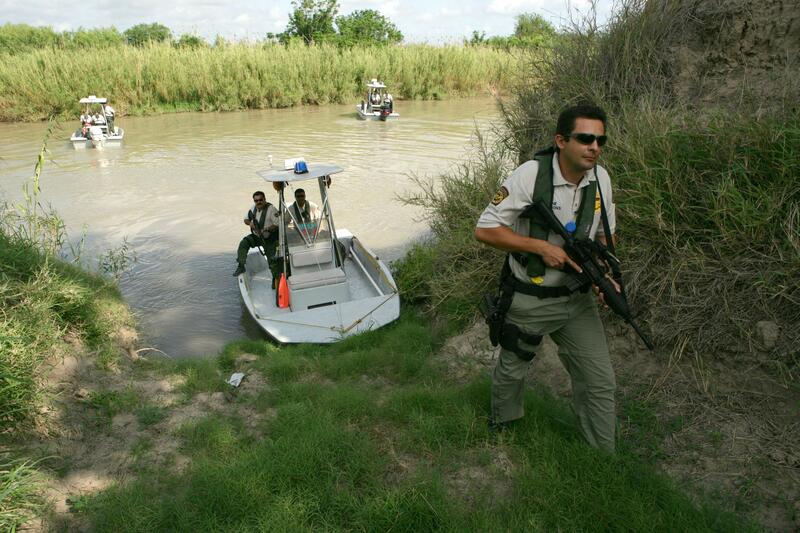 U.S. Border Patrol Marine Unit patrols the southern most portion of the Rio Grande river in Texas. 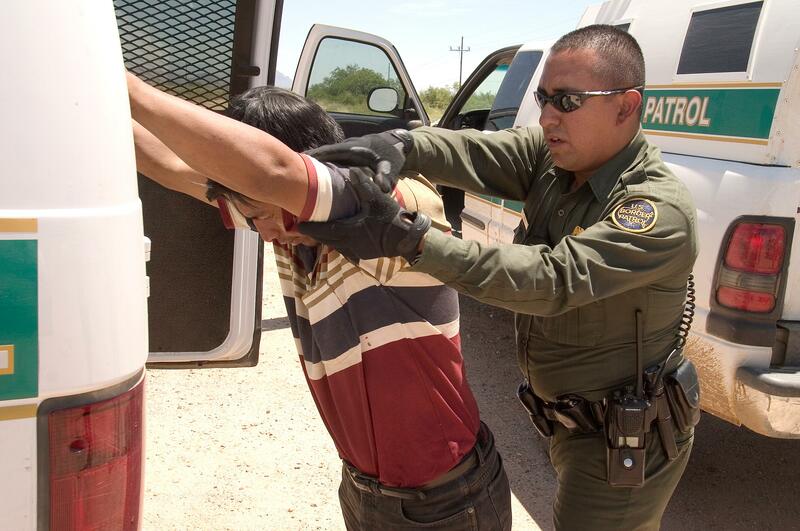 U.S. Border Patrol agent does a pat down of a Mexican being returned to Mexico. 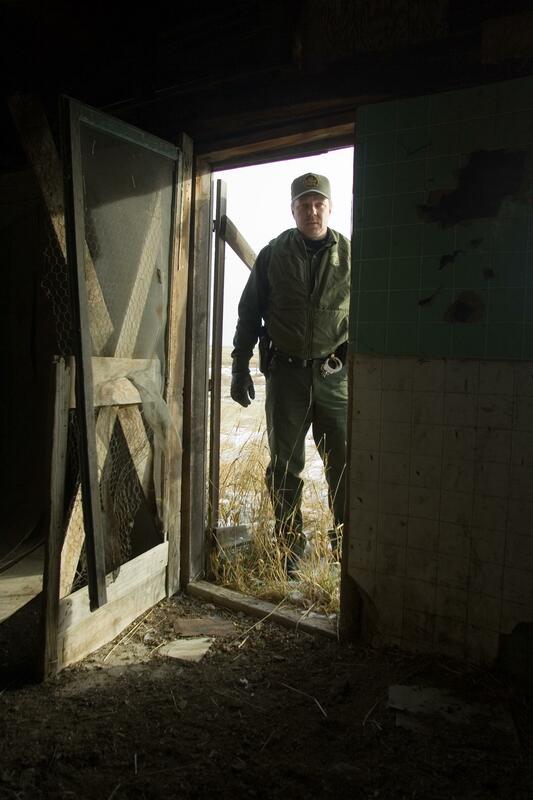 Border Patrol agent stationed near Sweet Grass Montana conducts a search of an abandon house just over the US/Canadian border. 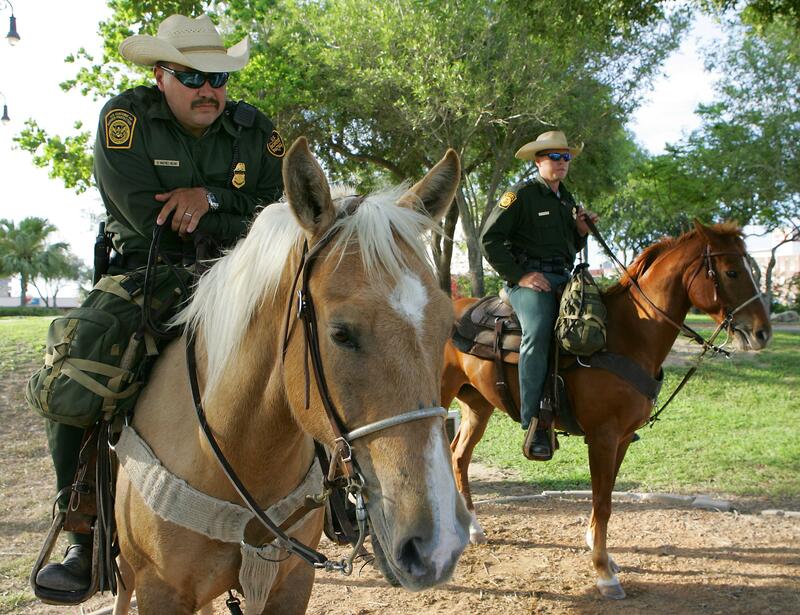 U.S. Border Patrol utilizes horses in difficult terrain to ensure the safety of the nation's border. 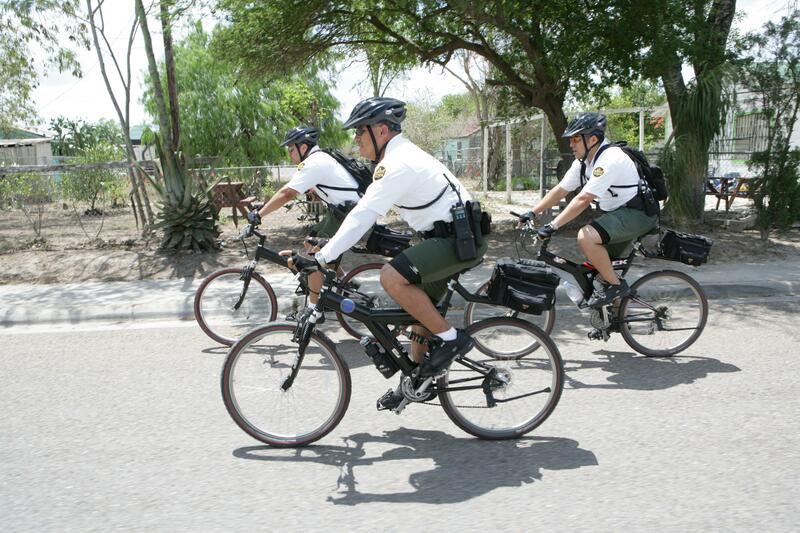 U.S. Border Patrol bicycle unit on patrol in McAllen, Texas. 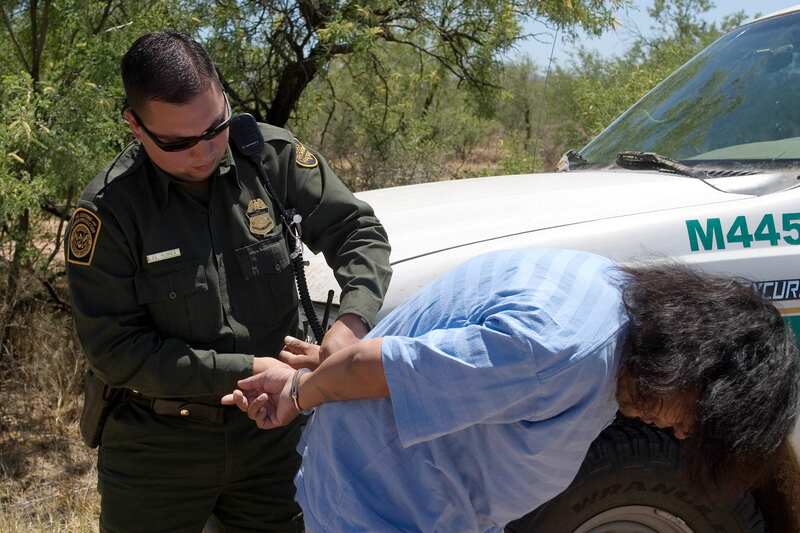 Border Patrol agents conduct pat downs of migrants caught crossing the border illegally in the Imperial Valley Sector. 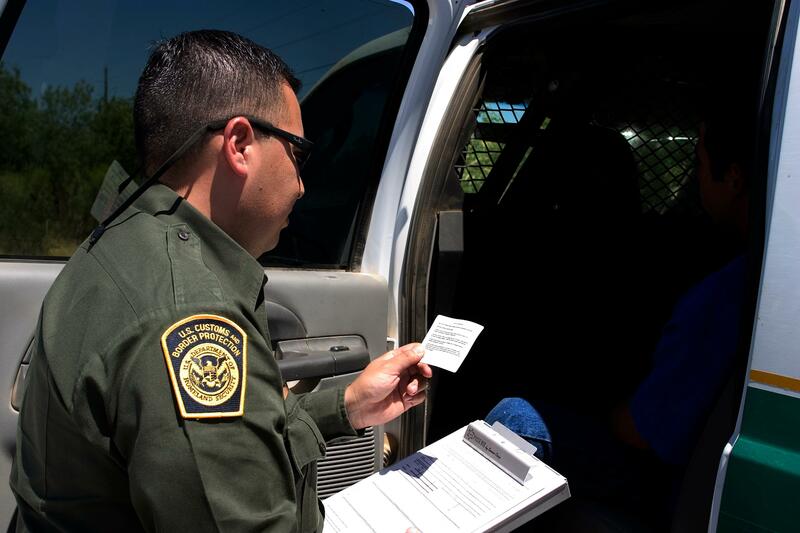 U.S. Border Patrol agent reads the Miranda rights to a Mexican national arrested for transporting drugs. 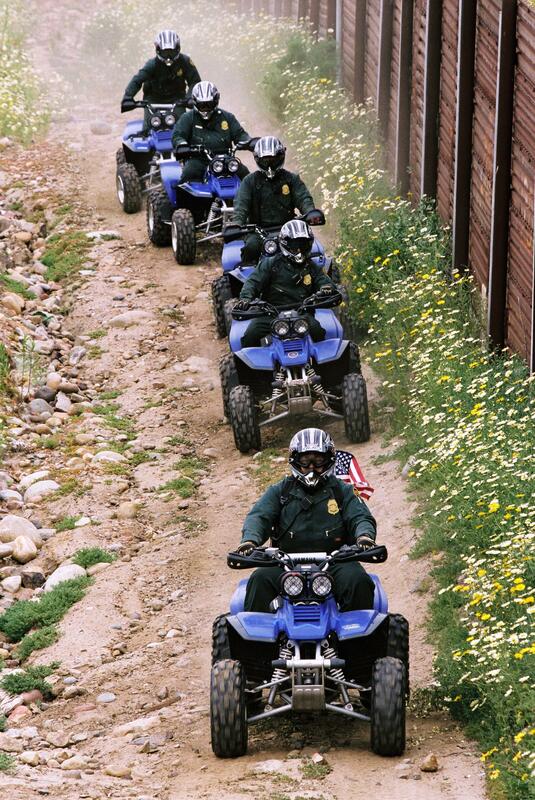 Border Patrol agents makes use of All Terrain Vehicles to patrol along the rugged border with Mexico. 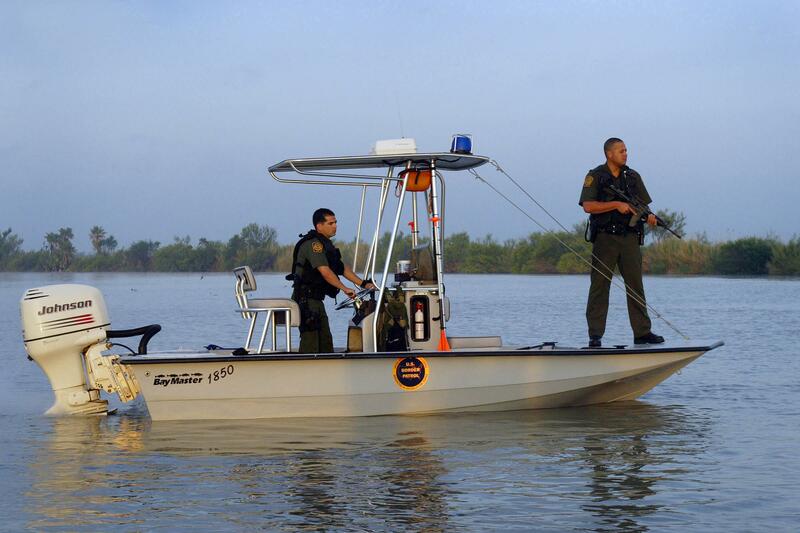 U.S. Border Patrol Marine units patrol the waterways of our Nation's borders. 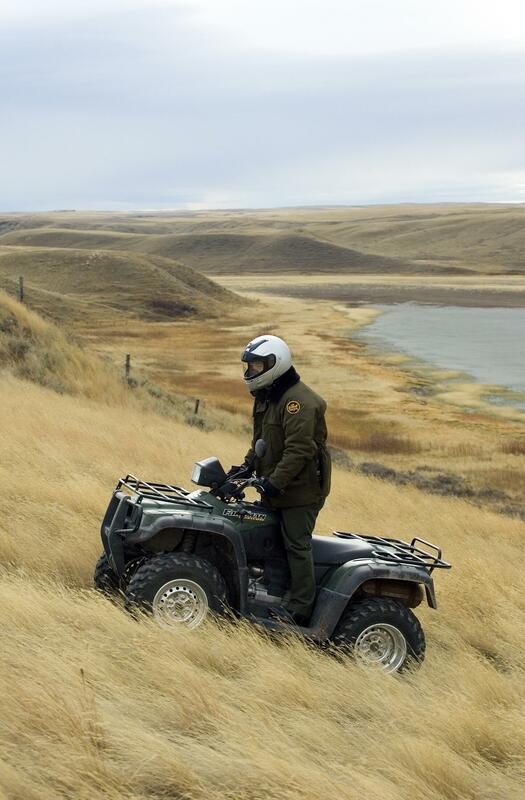 Border Patrol agent uses All Terrain Vehicle to conduct routine patrols near the US/Canadian border near Sweet Grass Montana. 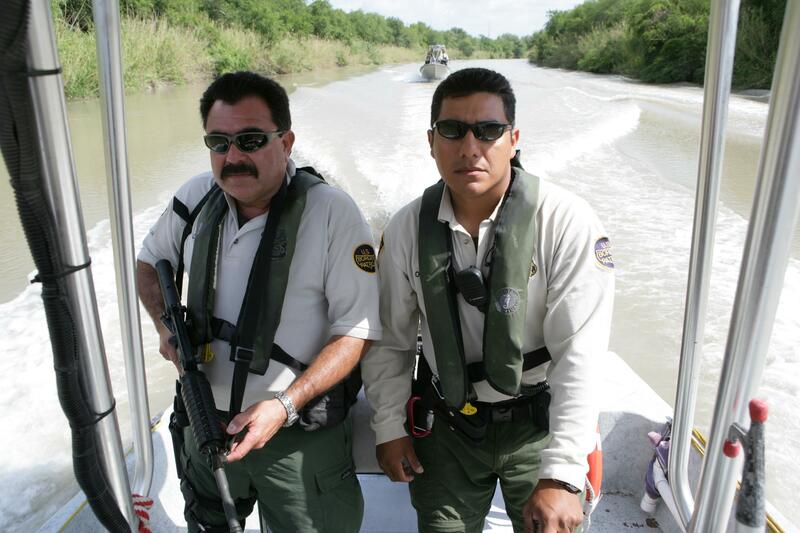 U.S. Border Patrol agents in Rio Grande Valley, Texas process illegal immigrants who attempted to enter the United States.